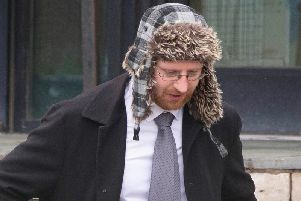 Christopher Humphrey, 53, manipulated till records so lower daily takings were recorded, and provided inaccurate information to his accountants to avoid paying in VAT and corporation tax. He also lied about the amount of stock purchased when he was landlord of The Tudor Tavern in East Preston – to try and hide the amount he was actually selling, according to HMRC. Chris Gill, assistant director of the HMRC fraud investigation service, said: “Christopher Humphrey lied about his true takings to pay less tax, which gave him an unfair advantage over business competitors. The fraud, which took place between August 2011 and June 2015, was uncovered by HMRC’s cash taskforce and referred for criminal investigation. Enquiries revealed Humphrey had evaded £53,464 in VAT and £31,128 of corporation tax. He was arrested by HMRC investigators in August 2015, and at the time of his arrest he was sole director of The Tudor Tavern EP Limited, of Sea Road, East Preston. He was jailed for 18 months at the same court on December 14. He was also disqualified from holding any company directorships for three years.